Your smile is the way you greet the world. It is the first thing people notice about you. We will make sure you have a healthy, beautiful smile! We treat our patients as if they were family. We are honored by your trust in Joy Dental Pines. 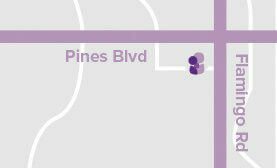 We are conveniently located in Pembroke Pines and serve the surrounding communities. 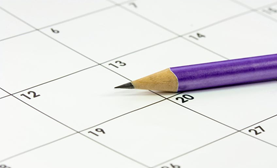 If it has been awhile since your last dental cleaning or dental visit, call us today and schedule a free consultation. 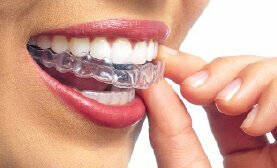 We proudly offer Invisalign as an alternative to traditional braces. We work very hard every single day to earn and keep your trust. It is very important to us that when you leave our offices, you are happy and satisfied with your treatments. If you ever have any questions about anything, please ask. 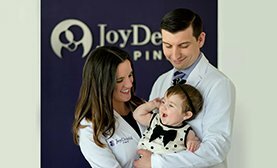 Joy Dental Pines wants to make sure that you are informed each step of the way and when your course of treatment has been decided on, that you are educated about what is being done and why. We want our patients to be an active part of the treatment team as we strive for dental excellence. There is nothing like having a beautiful, healthy smile to greet the world with each day. Joy Dental Pines can help you rediscover that smile or maintain the beautiful smile you already enjoy. We offer Cosmetic Dentistry to fix any issues such as missing, broken, misaligned and discolored teeth. Our professional cleanings ensure that your teeth stay healthy and disease and decay free. If visiting the dentist causes you anxiety, we can help you with that as well. We offer sedation dentistry to make sure you stay relaxed and comfortable.